While playing on vinyl and CDs was popular in the past, it is not surprising that in 2019 using your computer to mix tunes with a great software package is more the norm as well as the preference. Because it can be hard to choose a software program because they all look alike, we created a comprehensive list of the 15 best DJ software in 2019. This post will highlight the plethora of great features that software packages offer as well as help you understand how the software will help you can flex your creative genius. Our goal is that by the end of this post, you will be able to invest in a DJ software program and start creating today! 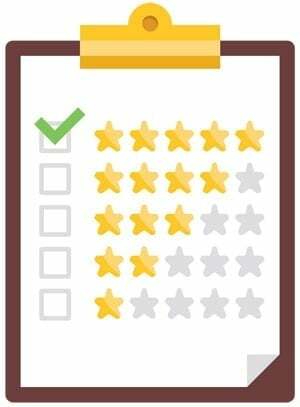 The #1 software we reviewed. An excellent all-rounder. The best value for money software we reviewed. Our premium pick software on the higher end of the price range. 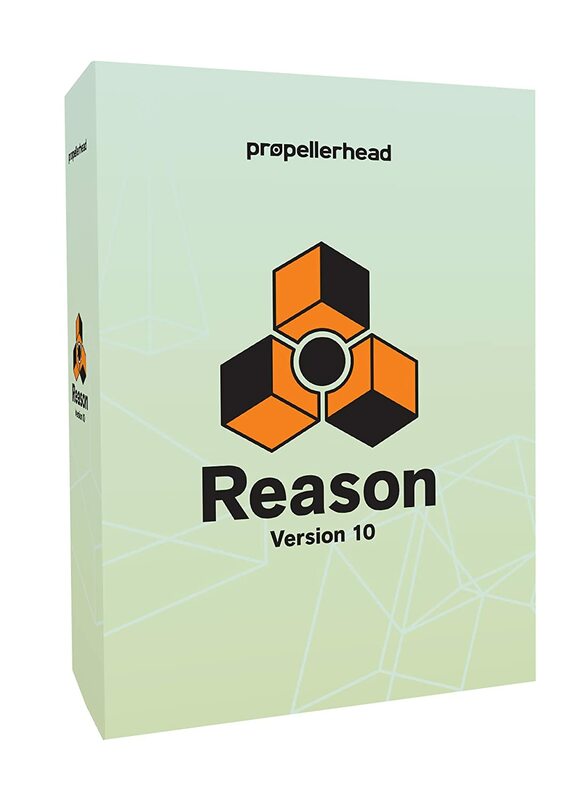 The new and improved Reason 10 by Propellerhead is our number 1 pick. This particular piece of DJ software has an array of different key features that led to it being rated so highly by our DJ experts. This software is great for those interested in making music no matter what sector. The Reason 10 is mainly used by DJs from beginners to professionals but is also increasingly popular for general musicians that want to create casual music and mixes in the comfort of their own home. If you are in the market for a PC DJ software that is easy to learn how to use as well as easy to set up, the Studio One Artist is typically the first choice among consumers. This package promises superb sound quality and offers inspirational options. This software boasts a flow-oriented, drag-and-drop interface and promises ease of use so that you can have fun while mixing tunes. 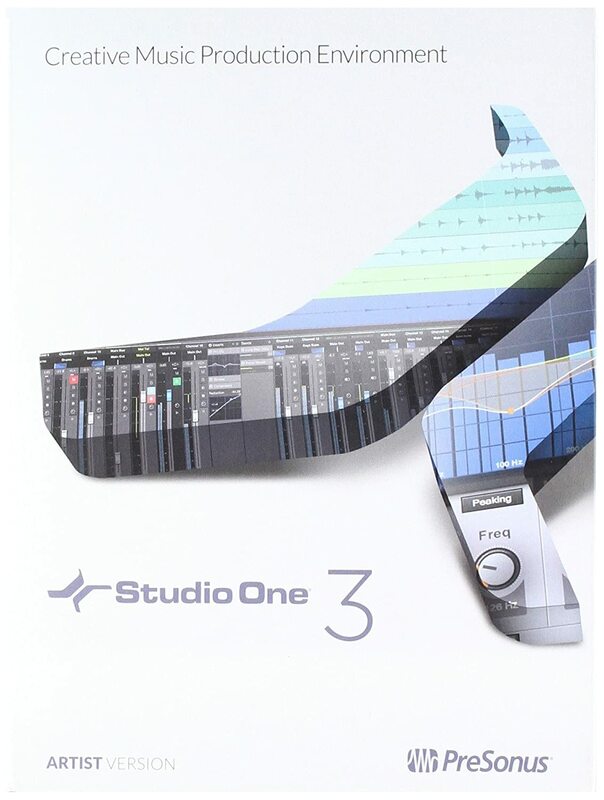 Included in version 3 are new virtual instruments, enhanced ways to find backing tracks, step sequencing for programming beats, and a great interface that offers multi-touch support, context-sensitive documentation, and other enhancements. Other updates that are often mentioned by consumers is the content browser that allows you to search, find, preview, drag-and-drop temp-matched loops, samples, effects, presets, and instruments without a hassle. The new Presence XT expandable sampler and Mai Tai polyphonic, analog modeling synth, includes 36 64-bit Native Effects as well as 5 virtual instruments making this package an outstanding value for the money. Other advanced features include transient detection, editing with groove extraction, multitrack comping, editable folder tracks, step recording, and event-based effects. It is important to note that the software is easily accessed once the license key is registered with the manufacturer. Highly coveted by professionals in the industry, the Ableton Live 10 DJ and Mixing Software is consistently rated as the best music production software you can buy for the money in the higher price range. With this version of the software you have the ability to be even more creative than ever before. Weave together song ideas and structures by simply dragging sections and loops of a song in the “Session View” feature. In addition, you can assign MIDI controls, record loops, overdub, and develop songs on a whim. DJ’s, music producers, and musicians have all approved of this package as a great solution for those who want the ease of brainstorming, creating, composing, building, and performing songs all on one platform. Use the virtual instrument package such as the drum rack 16 pad style sampler, impulse advanced drum sampler, and simple classic synthesis-based sampler, as well as 7 MIDI effects to create powerful and unheard of before tunes. As if these great effects were not enough, the software also offers 19 audio effects that range from reverb and delay to lo-fi and stutter. If what you are looking for is not offered in the package, you can always add on more AU or VST plug-ins. 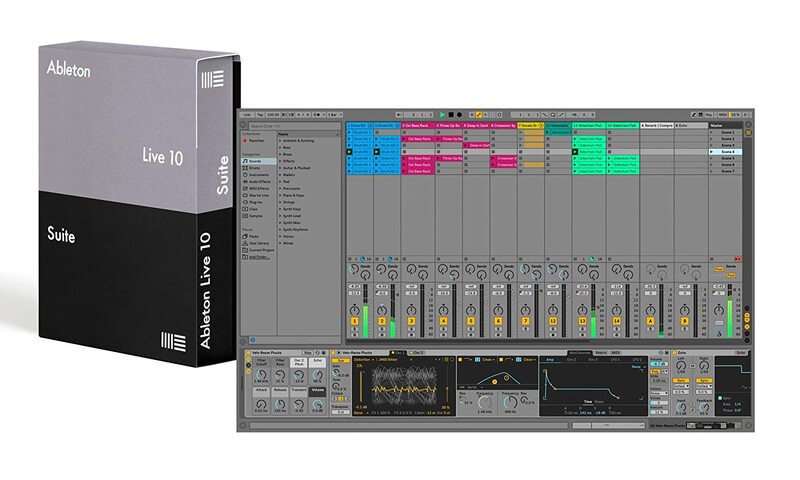 Other notable features about the Ableton Live 10 are the ability to multitrack record up to 32-bit or 192 kHz, 16 x tracks and 8 x scenes that provide space for creating unique tracks, unlimited undo lets you create without limitations, MIDI sequencing of software and hardware instruments, warping and real-time time-stretching capabilities, and group track organization for simpler automation. This software suite has it all and if you do happen to want more AU options or plug-ins, you always have the ability to add on. There are no limits with this package. Inexpensive, easy to use interface, and the ability to cross between a Mac and PC, makes this one of the best DJ software packages on the market in 2019. If you are new to this music circuit, you do not have to worry about learning a complex system to begin creating new tracks. This package includes a powerful BPM detection feature that allows you to sync your tracks based on the beats per minute. You can also adjust the grids for the tracks with the loose BPM feature. It is also important to note that because of the key detection and control ability, you are able to create smooth and harmonic sounds of outstanding quality. Another highlight of this software is that you have access to many pro industry standard tools such as loops, hot cues, smart seek, filters, and DJM modeled EQ’s. Not to mention there are 14 audio effects and frequency colored waveforms included. Due to the 80+ compatible controllers, you are able to control the cross functionality, edit the mappings to your own style, and the system is plug and play. Compatible with Pioneer, Numark, Allen & Heath, Gemini, Denon, and Vestax, this is a great beginner software package for the up and coming DJ. 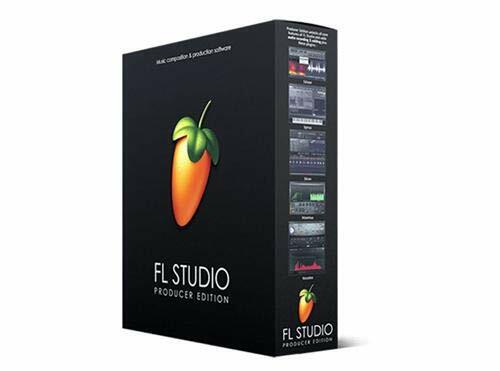 This piece of DJ Software has been spoken up by our experts in the industry, the Image Line FL Studio 20 Producer Edition comes with a guarantee to give the user what they are looking for. Including in this software are many features that are sure to convince you that this is the choice for you. To start with, unlike the older version, this model now supports for all VST standards. However, what our experts think is the key feature is the fact that there are over 80 instruments and plugin effects included. The new FL Studio 20 model from Image Line also allows you to choose whether or not to fine tune your music that you create which is possible via the advanced audio recording and editing functions. 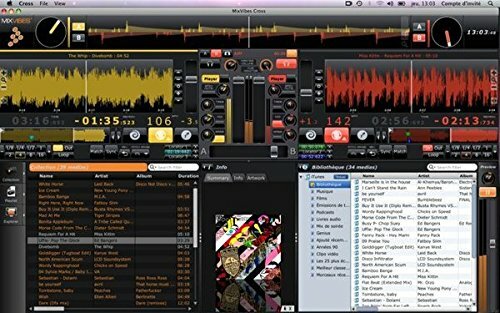 We recommend that you have a computer with a good size memory when you use this DJ software as if you do, the software allows you to record and unlimited amount of the tracks at the same time. An outstanding value for the money, the Sony Sound Forge Audio Studio 10 software package is the most user friendly out of our recommendations. It has a welcoming interface that is easy to use and learn how to manage. You can easily record, edit, master, and share your audio files on your personal computer. Using a simple button, access your Audio Studio to capture live performances in high-fidelity sound. Built-in effects are also included such as but not limited to EQ, reverb, delay, and chorus. What makes this software suite the best for beginner DJ’s is the interactive “Show Me How” tutorials that are included at no extra cost. Detailed videos along with step-by-step instructions on how to create a CD, vinyl restoration, audio mastering, and creating podcasts are all included. Many rave at the ease of use when creating a CD after editing and mixing a new track. This software package is a great way to begin to invest in your future. Some have even said that this version is just as good as the Sony Forge Pro software package that is upwards of $300! Now that you are on the right track, all you have to do is decide if you have the right DJ controllers for the studio. 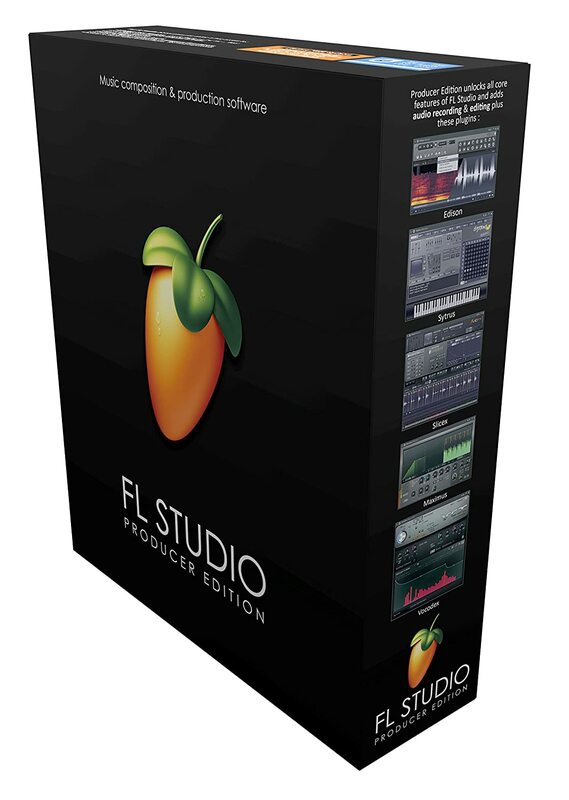 Highly coveted by professionals who write DJ software reviews for a living, the Image Line FL Studio 12 Producer Edition promises an incredible music production atmosphere. Included is a full suite of features that allow you to create the best music possible. Audio recording and editing, MIDI piano roll and step sequencing, a live performance mode and multi-touch support are all included in this package. As if that was not enough to excite you, there are over 80 instrument and plugin effect to choose from when creating your newest track. There is support for all VST standard, DX, and FJ Native plug-in formats as well as the ability to host other DAWs as a VST or connect through ReWire. 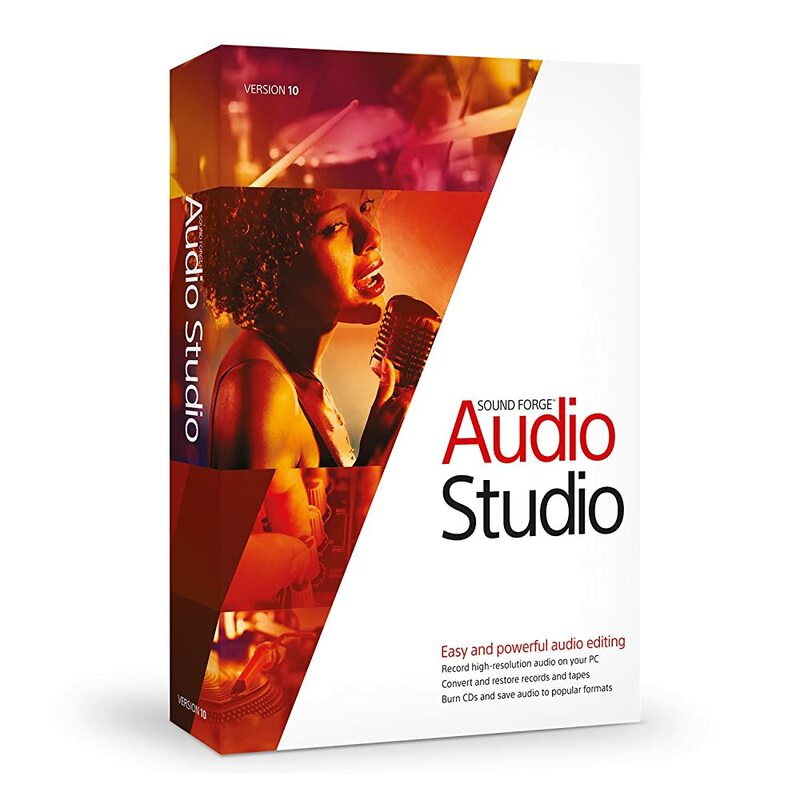 With this software package, you have the option of fine tuning your musical creations with advanced audio recording and editing functions. You can record an unlimited amount of tracks at the same time as long as your computer can handle it. After you have recorded your music, you can edit and mold the sounds with the FL Studio’s wave editor that includes a great array of functions such as but not limited to spectral analysis, convolution reverb, noise reduction, and loop-construction. When you are bored with audio recording or editing, you can play around with the 12 advanced mixing and routing options that give you the ability to create other productions. There are 99 channels and the mixer can be used for a variety of different things such as leveling, panning, and creating submixes. It is important to note that each channel of the mixer has a parametric EQ and can manage up to 10 effects. Some of these effects are maximization, limiting, compression, delay, distortion, or equalization. As if that was not enough to keep you busy, the Image Line FL Studio 20 includes many MIDI recording and sequencing functions. You can also choose from over 30 software synthesizers to cover acoustic or synthetic bass, electric guitar, multi-sampler tools such as piano and strings, or general playback and beat-slicing. With this package, you cannot go wrong. You will certainly earn a great return on your investment. 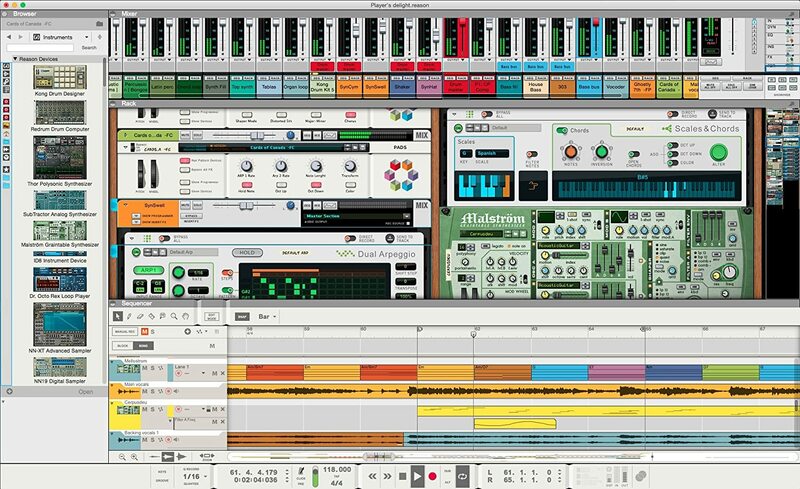 If you want great software as well as great DJ speakers and other equipment, you should take a close look at the Reason 9 by Propellerhead. With this software, there are so many creative options utilizing a large collection of instruments and effects that look, sound, and feel like the real thing. The software is easy to use and simple to understand as it features a simple layout and is free of submenus and cryptic interfaces. This software package comes with full dynamics, EQ, filter and effects one very channel. There is an unlimited amount of sonic palette to choose from. Everything you need to write, record, remix, and produce tracks are included in this package. The gigabytes are delicately sculpted synths, samples, drum kits, loops, and effects for every conceivable style. The built-in sound bank has all you need to get started making ground music. What is also outstanding is that the sounds have been created by a team of expert sound designers such as producers like Death Cab for Cutie’s Jason McGerr, Black Eyed Peas’ Printz Board, and others! It is helpful to make note that some users have mentioned that you can use this same software package on more than one computer as long as you purchase a separate USB to connect it to the other computer. 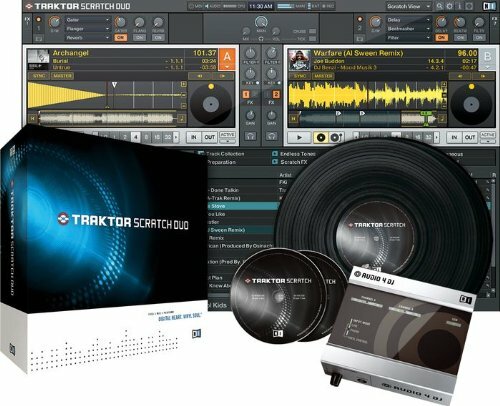 An incredible buy for those who are in the market for cheap DJ software, the Traktor Scratch Duo DJ package is rated average by users. Some rave about the package as it is great for aspiring DJs who are just learning to spin their own digital tracks on vinyl or CD. Included in the package is a 4 DJ interface with precise control for records and CD’s. Native Instruments has spent years researching software development and created Traktor Scratch Duo as a way to streamline and provide only the absolute necessary features needed to spin in the digital age. There are 2 state-of-the-art playback decks, some professional-quality effects, user-friendly interface, and great sound quality. No matter your experience level or ability, this package is easy on the wallet and has what you need to get started. The playback decks integrate a 3-band EQ and classic filters that provide you with complete control over the sounds you make on your track. Other high quality effects include the tempo-synced filter, delay, flanger and reverb, beatmasher, and gator effects. All are made with Native Instruments’ REAKTOR technology. In addition there are high contrast, scalable fonts and intelligent graphic elements that make for a great workflow. The Crate Flack is a search mechanism that allows for the user to flip through their collection by cover to find the next best track selection. Edit your music better than ever with the ability to cut tracks and add effects using the drag and drop feature. 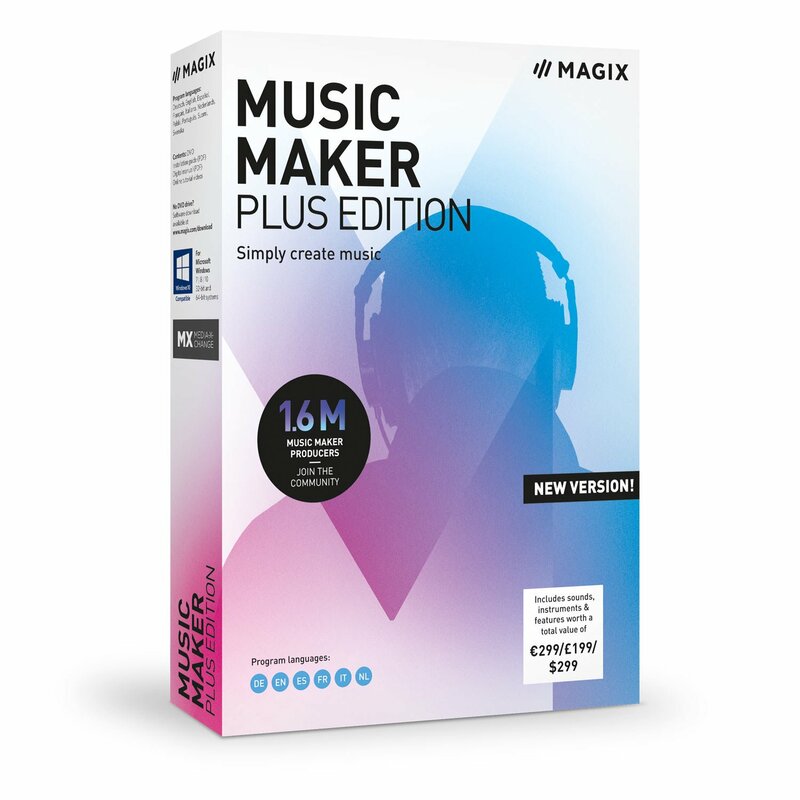 With he new Music Maker 2019 model, MAGIX want you to be able to create your own music with your own style. 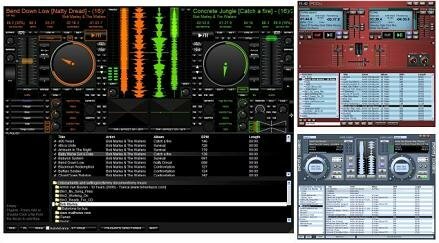 This DJ software has been made to be easily usable by beginners and pro DJs alike. So no matter whether you are a beginner getting started in DJing or a professional, the MAGIX Music Maker 2019 could be a good choice for you. 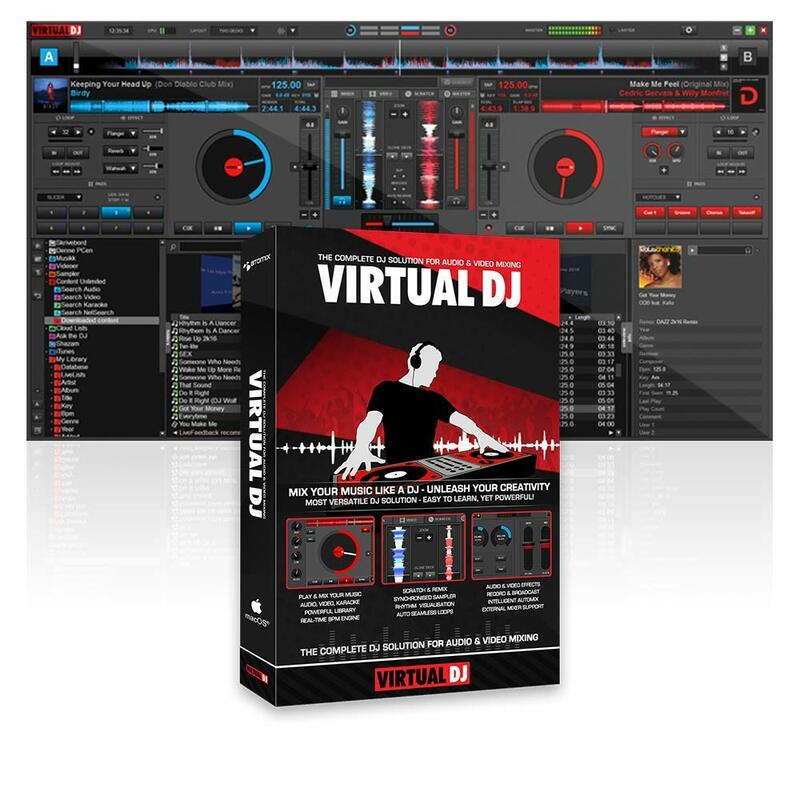 The new pro version by Virtual DJ is another great choice for those looking for a more premium DJ Software on the higher end of the price market. It isn’t a cheap product by any means but it certainly delivers in terms of what you get for your money. 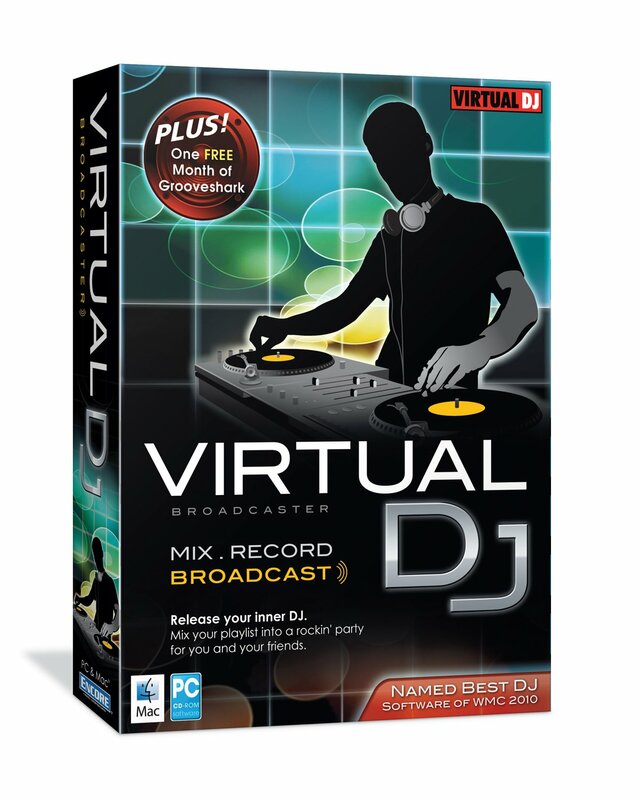 It is important to note that the Virtual DJ Pro can be used on both Mac and PCs. If you are new to the world of creating your own mixes and sounds, the PCDJ Dex may be the best DJ mixing software for you. The simple to use interface along with the generous selection of options makes this package a great buy for the money. The Dex is rated as professional software and can be used on a Mac or PC. With this software you can easily mix music, create and edit music videos, and even host karaoke nights for friends. All the features you need to be a successful DJ are included for one low price. Because of the beat-grid based automatic beat mixing abilities and key detection, you can blend tracks at ease. The sound quality output is superior whether you are mixing live or using the automix feature. In addition, you have the ability to create mixes from your personal library, video library, iTunes, or Pulselocker by using your keyboard and mouse. You can also access over 90 supported DJ controllers for additional sounds. Another great selling point for the Dex is that there is no latency playback. Overall feedback about this product by consumers has been positive. Invest in your future today without draining your savings with the Dex software package. 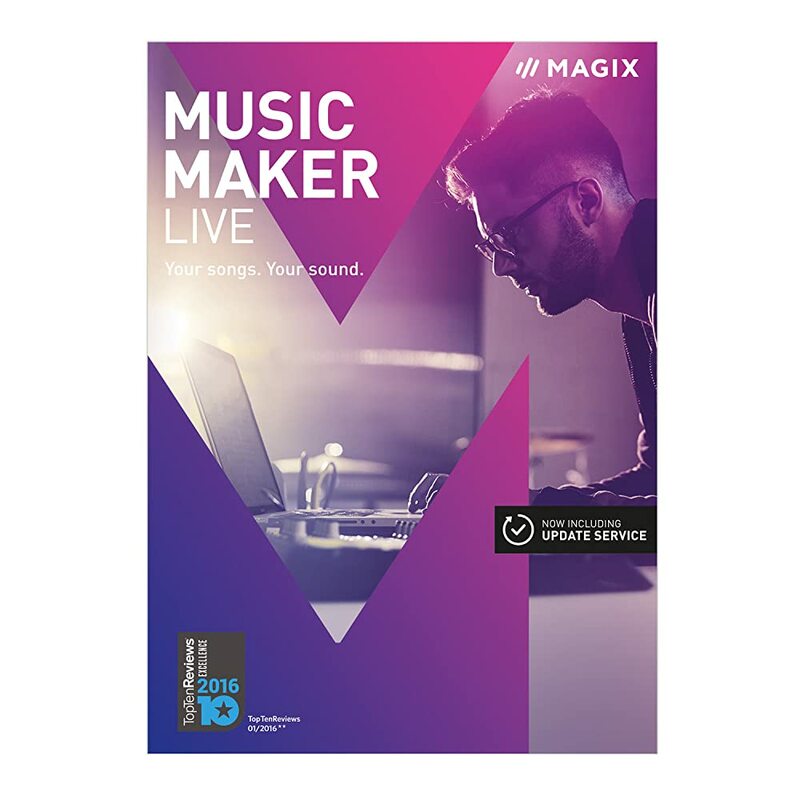 Another great way to access DJ software without having to leave your home is to download this MAGIX Music Maker 2017 Live edition. The cost is on the low end of the spectrum and the features are well worth every dime you spend. With the live pad mode, you can play almost any instrument. Because of the advanced opportunities provided with this software package, it is important to look into your computer operating system specs and compare it what is needed for this download. Failing to do this very important step could lead to disappointment and sadness. The minimum system requirements will vary by operating system and computer. It is also very important to remember that internet connection will be required for registering and validating the software program. There is a required one-time product registration after purchase. Another outstanding feature that we only found to be offered with this product is the ability to download an app. From this app you can import music and quickly begin editing it with plug-ins and other professional effects. Now that you have software, all you have to do is select the best DJ mixers for your home studio. The Broadcaster is one of few different models released by Virtual DJ and is known by DJs as one of the more popular. However, this product isn’t only popular by DJs as it has features that make mixing up a quick playlist for friends or parties very easily. Therefore, this would be a good choice professional musicians or just for people wanting to improve their party playlist. The automix feature is great for parties if you want to quickly throw together a playlist for all your friends to enjoy. 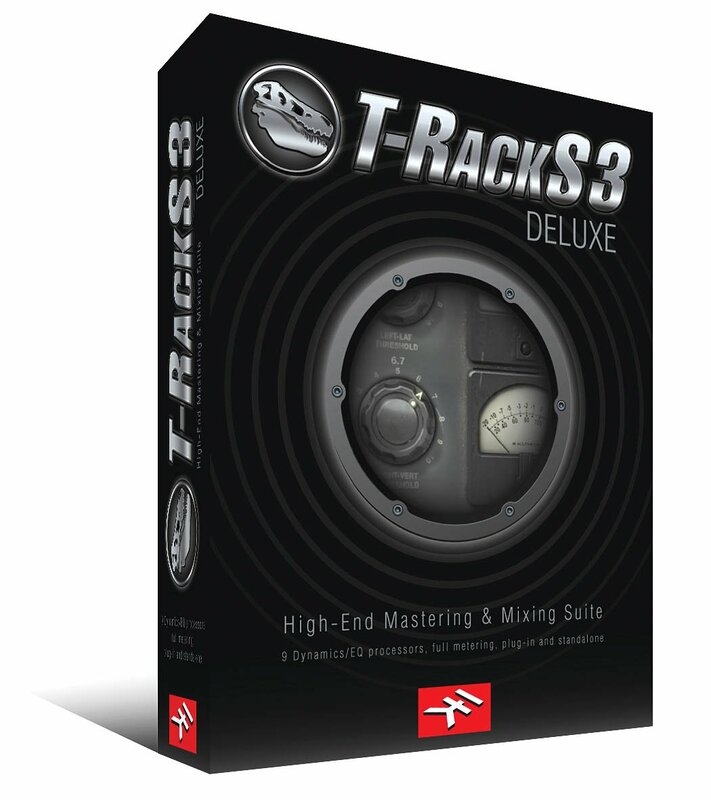 This software package raises the bar in the high-end DAW mastering and mixing market. The suite of 9 analog modeled and the digital dynamics/EQ processors full metering suite provide a quality that is unmatched by other software in this category. Unique features make this product worth the dollars spent on it. The processors and metering module can be combined within the plug-in/standalone suite and can also be used as individual plug-ins if that is more convenient for you. In fact there are 10 individual plug-ins and a great bundle of 12 superior sounding tools. While not all software can be used with a DJ turntable, this suite offers the ability to create music and put the finishing touches on your newest creations with a wide variety of plug-ins. This collection gives you the ability to make vintage or modern sounds with the mixture of signal processors. The specs are quite impressive, offering 64-bit native support, 32-bit 192 kHZ support, as well as 32 and 64-bit AAX compatibility. It is important to note that it will also run in Pro Tools 11 and under AAX in Pro Tools 10. Reviewed by many with the resounding feedback of the software being easy to use due to the presets, full chain visualization, one-click single module or chain bypass, as other functions. There are many considerations that came into play when our team began to create this guide. Our goal was to research as many products as possible in able to offer consumers our expert knowledge and opinions on the software packages we chose to feature. You will notice that the products mentioned in this guide range in price, size, functionality, and versatility. We provided a wide array of options that offer anything from creating a song on your behalf to being able to make mixes on CD. Coming to a consensus on just 15 products was quite a challenge. Here are some ways in which we were able to narrow down our prospects. Be sure to stay within your means and your budget. We identified many products that are high in price range but also offer you a great deal of features. If you are a veteran to DJing and music creation, it may not even occur to you to look at cheaper versions to see if you can achieve the same results from something with less bells and whistles. Some believe that buying the item with the most features is the best way to get a return on your investment. In fact, it is not necessarily true because if you are not at the skill level to perform at the level offered by the software package or you cannot figure out how to use it, you are in essence wasting your hard earned cash. There are so many products on the market and people will buy anything. We created this guide to help you not get ripped off by products that look incredible on paper yet are nothing but junk when you have them in your hand. Reputation and program durability are critical components and something we took seriously in our research. Not every program will be compatible with your PC or Mac. We felt that it was important to research this and be transparent as it is crucial to understand the software’s operating system needs so that you purchase the right software suite. If the interface and layout was not easy to use or was cumbersome at best to manage, we made sure that it was noted in the product description. This guide is to assist you in advancing your DJing skills through the use of software, not to set you up for failure by not being transparent about a product. If you are new to the industry, it is always best that you purchase a basic software program first and save your money until after you have mastered the basics to invest in a professional software package. We hope that by reading our guide on the best DJ software products available in 2019, that you are now a better informed consumer and can make the best purchase for your current and future needs. By taking into considering the price, amount of features, program reputation, compatibility, and ease of use, we are confident that you will make a great software purchase and be on your way to creating outstanding content. Be sure to evaluate your budget before spending money on a software package. If you spend all of your money on one aspect of DJing, it may be hard to continue to advance your goals if you are unable to afford other needed items. Make a list of key features that you need to excel now. Then make a list of features that you hope to have in the future. Take both of these lists and refer to them when you are exploring different software packages. You may find that by spending a few dollars more, you can get all the features that you need for now and later. This can set you up for great success as you are making a smart investment and spending wisely. Try to avoid purchasing features that you will never use. Some software packages include so many add-ons that it is nearly impossible to use them all within a single lifetime. These additional items make the price of the software skyrocket and are most likely unnecessary for your use. Consider the brand and program reputation before making a purchase. If you are unsure of a brand, do a quick google search and see what is said about them. You can save yourself a great deal of strife by purchasing a program from a reputable brand that is known within the DJ and music industry for producing quality products that withstand the test of time. While you may really want the best software available on the market, it could be a waste if your current operating system on your computer is unable to handle it. Take a moment and look at your operating system specs and compare them to the software that interests you the most. Before purchasing, make sure that you are able to utilize the software to the fullest on the current equipment that you own. If you are unable to do so, consider purchasing a new computer or continue to explore software options until you find one that will fit your budget and system requirements. If you are new to the industry, the interface and layout is important to your success as a DJ or music producer. If you are teaching yourself how to mix and edit, a friendly interface will be better for you to start with. As time goes on, a more advanced interface with detailed intricacies will be a better option. Until you get the hang of it, we recommend something that is user friendly and easy to figure out without having to read the software manual. DJ and music production software does not have to be expensive for it to be of great quality. By taking into consideration your budget, the price of the software, the ease of use, reputation of the product, and features offered, you are bound to make a solid decision regarding the right type of software package for your current and future needs. With the wide array of options provided in this guide, you have all the information you need to make a sound decision.